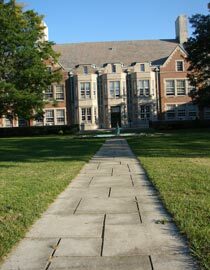 After what we hope has been a relaxing, enjoyable and fulfilling summer, it's time to kick off the 2008-09 school year at Hathaway Brown. School will officially be in session beginning September 2, 2008. Faculty and staff are eager to welcome new and returning students to our campus and a variety of exciting activities are planned for that day. We look forward to another amazing year, learning and growing with the students of Hathaway Brown School.